My family has been busy switching our wardrobes to cool weather apparel and taking stock of our cool weather needs. With a Teen Diva and pre-teen boy in house, seasonal changes always necessitate new footwear additions. While my son is busy outgrowing, the Diva's interests are purely fashion motivated. A Diva always have room for a new pair of fabulous boots or shoes. Fortunately, this savvy shopping Mom has found an excellent resource to source cool weather fashions for my family, from footwear to casual wear and even work gear and western apparel. Langston's Western Wear, a solidly established retailer with an eighty year reputation for quality, offers a full line of Minnetonka Moccasins that are perfect for a variety of style preferences, as well as all members of your family. 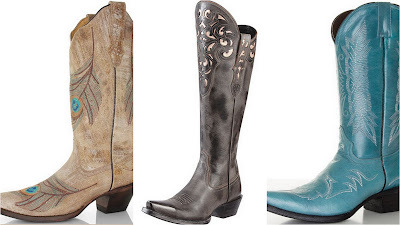 The Diva and I certainly do not let our lack of ranching and roping experience hold us back from appreciating the traditional western boot fashion we've discovered at Langston's! In fact, we are quite taken with several new looks from their New Women's Western Boot Collection! Read our personal review of our fantastic experience shopping with Langston's online and be certain to check out the 99th Anniversary sale going on now at Langston's for great pre-holiday prices! This special sale ends on November 11, 2012 so scoot on over and rustle up a great deal for your holiday shopping or to treat yourself to a stylish new pair of boots! What cool weather boots styles are on your must have list this year? Are you adventurous or conservative in choosing footwear? 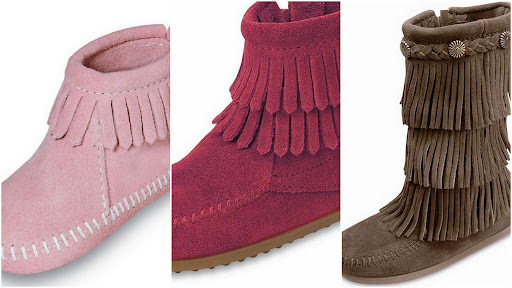 I received Minnetonka Moccasins to explore for the purposes of creating this feature. The opinions above are both honest and of my own experiences. Some images sourced from various Langston's Western Wear online sites. I really like these boots. I need a pair of these for myself. I like those brownish ones in the 2nd photo. I wish I could get more use out of boots down here. I love boots. These look great! I use to have a pair similar to the brown ones and they were so comfortable. I love those boots on you. They look awfully comfortable. Would not mind owning a pair of those myself!